Object-oriented programming is a type of programming where programmers define the data type of a data structure, as well as the different operations (functions) that can be applied to the data structure. Therefore, the data structure becomes an object. This object includes data and functions. Programmers can use this to create relationships from one object to another. 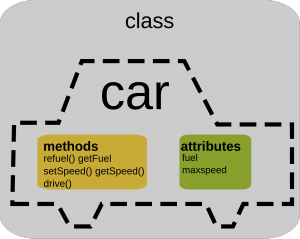 This means that objects can inherit characteristics from other objects. Confused? Think about it like a real world object. For example, a car. What are the functions (operations) of a car? They can move, they make sounds, etc. 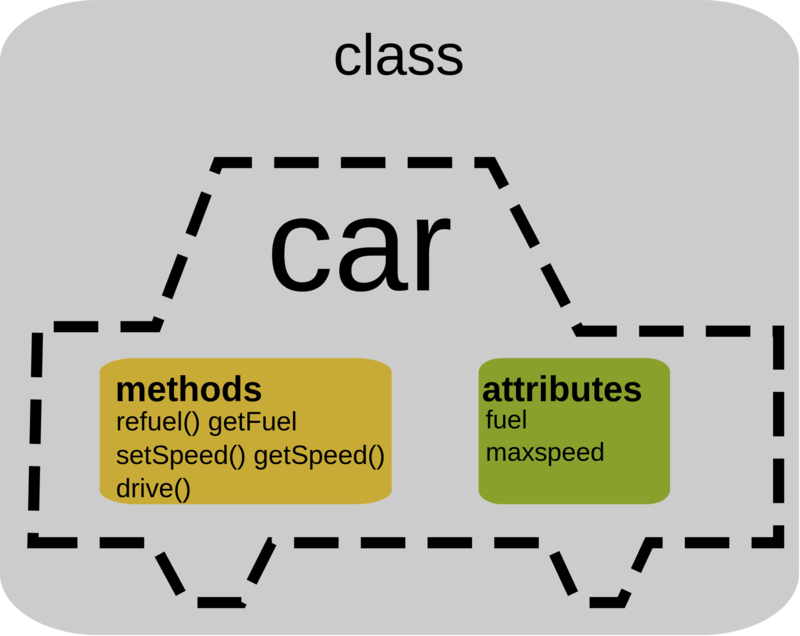 What are the features (data) of a car? They have windows, doors, wheels, and more. But wait, isn’t a truck all of those things as well? Yes, but they are slightly different, as we all know. So these two objects are related to each other, and have similar characteristics, but aren’t the same. They belong in the same class, as vehicles. They do basically the same thing, but they might do it differently. The first thing to do in object-oriented programming is to identify all of the objects that you want to manipulate, and define how they are related to each other. Then, the object is put into a class of objects — this defines the data it contains as well as sequences that can manipulate it. These sequences are called “methods”. The reason people like object-oriented programming is that the coding is very accurate. Since a class defines the data, it can be run smoothly, without accidentally accessing other data. This gives programmers greater security. Overall, many languages use object-oriented programming. Java, Python, C++, and Ruby are some of the most popular object-oriented languages. This code is easy to modify, and can do a lot for programmers. « A History of Java, the Programming Language	» What is the Language C++?